Where do you start to improve your SEO? Enter the URL of any landing page or blog article and see how optimized it is for one keyword or phrase. We’ll send you a score and full PDF report to the email address you provide. Our rankings process is a proven SEO method for businesses that gets measurable and long-lasting results for our clients. Our process driven and systematic approach starts with a thorough audit followed by detailed analysis and optimization of on-page SEO, content, offsite SEO and link building. SEO Digital Group has provided SEO services for businesses in moderate to extremely competitive markets. Our system ensures best practices for on-page optimization, link building and local SEO for Google Maps. The process we use for ranking websites was developed with years of experience. Our holistic approach to search marketing has earned us recognition as one of the best SEO companies in our industry. One of the most important steps in a proper SEO campaign is starting with a thorough analysis and audit. In this multi-step process, we look at your website’s online presence and compare it to a few of your top ranking competitors. Our team analyzes the following elements and we roll it into a video for you to watch, instead of emailing you a few dozens pages of technobabble to understand. Keywords are the foundation of a quality search marketing analysis and campaign. Find out which keywords are most prevalent on your pages and fine tune the content to match your service priorities. Our audit will reveal if you have too little or too many mentions of your target keyword throughout the page content. It is important to focus each page on a different topic or keyword. A business’ website is the core of their success in search marketing. Our on-page SEO process ensures that your site is built to rank well in search. We cover every aspect of on-page SEO to give your site the best possible chance to rank well for your keyword phrases. We offer our clients unique campaigns that generate links from the most authoritative websites in the industry, and we do it in a way that promotes authority, longevity and a top level reputation for your business. We use only white-hat, ethical link building strategies for our clients. Blog content should help answer questions which relate to the services you provide and people are searching. These blog posts support your main sales and service landing pages. 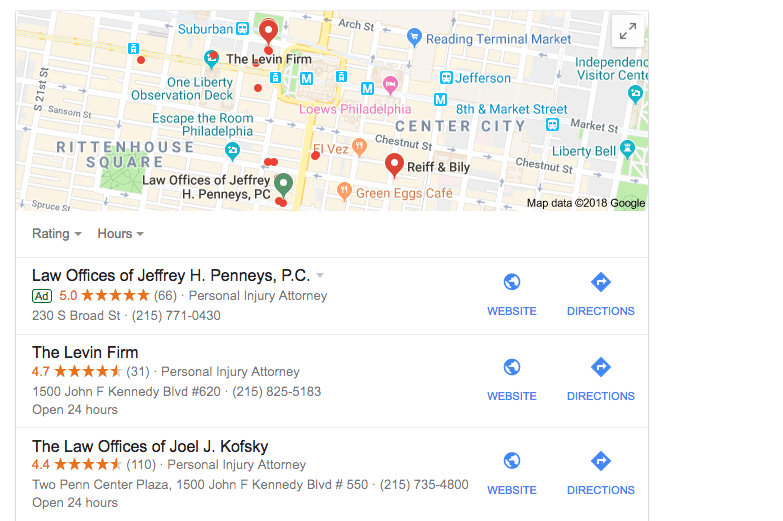 Proper Google Maps optimization for your business will help earn you two spots on the first page of Google. We submit your firm’s business information and website to hundreds of the most authoritative local website directories. We manually and use citation tools to build consistent citations across the Internet with your business name, address, phone number and website. We also implement other location-based SEO strategies, including local link-building, local business address schema and location-specific keyword optimization.